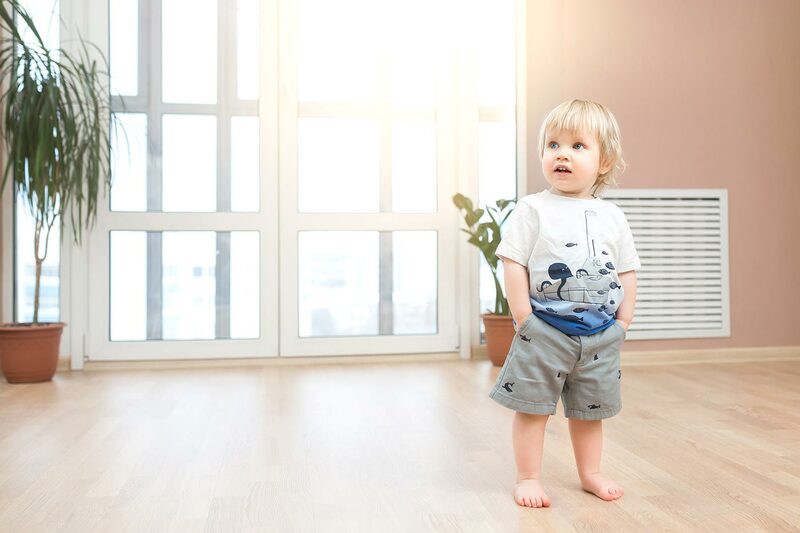 Is Your Toddler Going to Bed Too Late in the Evenings? Is your toddler going to bed too late? Learn ideal bedtimes for your child, the perks of putting your kids to bed early and why late bedtimes can be bad. Parents seem to fall in two camps. The first, which I belong to, believe kids should be asleep early and consistently. We’re the parents who will leave family parties—no matter how boisterous or fun—because any later would mean we’re cutting it close to bedtime. The other camp includes those whose kids sleep at late hours of the night, from 10pm and onward. They have flexible schedules with kids are sleeping later because they can also wake up later the next morning. With work, long commutes, and the “witching hours” to contend with, families struggle with hectic schedules. While a 6:30 or 7pm bedtime can be ideal for your child, sometimes work, extracurricular activities and long commutes don’t allow for it. 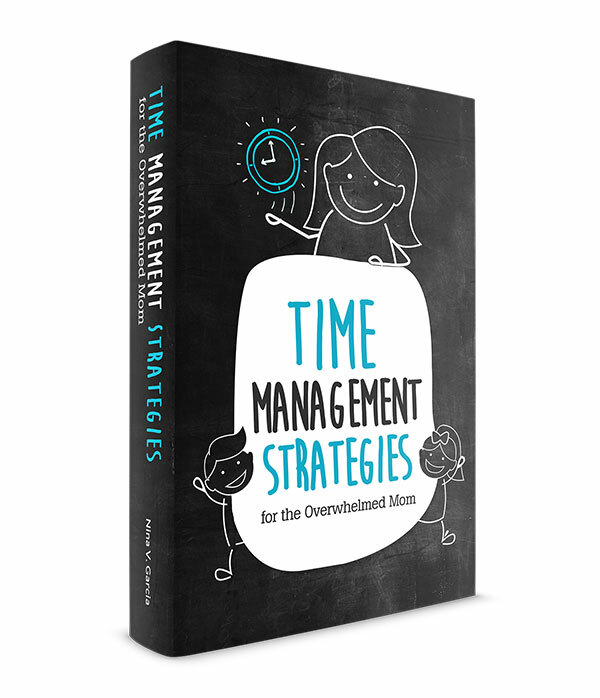 With such little time to get home and tend to daily tasks, much less spend time with kids, parents push bedtime back to accommodate a hectic schedule. Get tips on how to create a toddler schedule. In other cases, we’re too exhausted by the end of the day to enforce bedtime rules. With no energy to argue with kids, we figure a later bedtime is worth avoiding yet another battle. And since most kids would rather stay up with us than turn in for the night, they usually end up sleeping later than earlier. 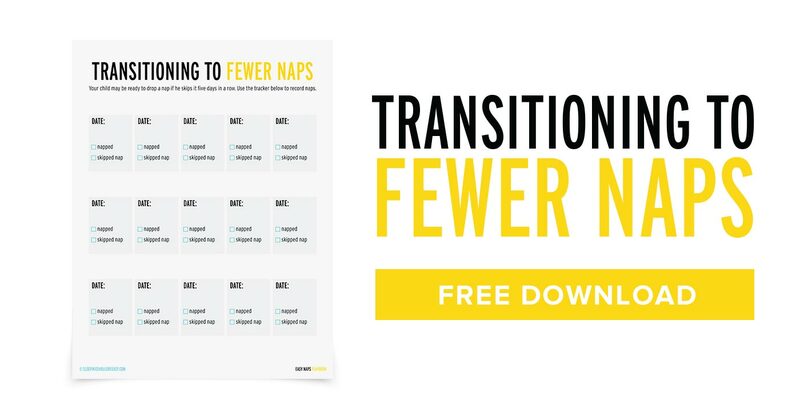 Get more tips about how to end the battles and make bedtime easier. Whether it’s the infant who needs to co-sleep, or the toddler who needs mom to sit by her bed, some kids need a parent to fall asleep. Parents find themselves with two choices: They either turn in for the night as early as their kids, or they have their kids stay up later with them. With so many things to do and few parents willing to sleep by 6:30pm, kids end up assuming their parents’ later bedtimes. 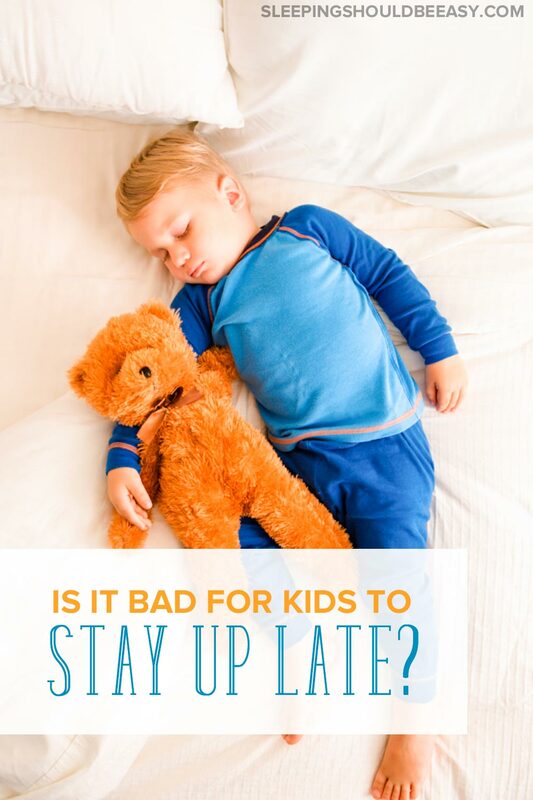 Is it bad for kids to stay up late? Late bedtimes don’t always translate to late wake ups. Our internal clocks are pretty strong, so that a child who sleeps at 10:30pm can still wake up at 6am the next morning. Compare that to a child who falls asleep at 7pm and wakes up at 6am, the latter will feel more rested and ready to tackle the day. Late bedtimes lead to inconsistent sleeping patterns. Kids with a set early bedtime not only clock in more hours, they also tend to have consistent and predictable sleep. They’re more likely to sleep and wake up at the same times every morning and night. Parents don’t always have the energy to deal with kids late at night. A late bedtime can have more to do with us than the kids. The later the day, the less patience and stamina we have to be our best. We all can benefit from the “after bedtime” hours to recharge, spend time with our partners, and pursue our interests and hobbies. If your child’s bedtime doesn’t fall within that time frame, don’t worry—your child isn’t doomed. I’ve always felt each family needs to do what works for them. We can’t cast blame or guilt on others because they don’t follow recommendations or have different sleep habits than ours. Plus, it’s generally more important that your child is getting enough and consistent sleep versus when he falls asleep. Check out this handy chart of how many hours your child should be sleeping a night, plus recommended bedtimes by age. Less crankiness. 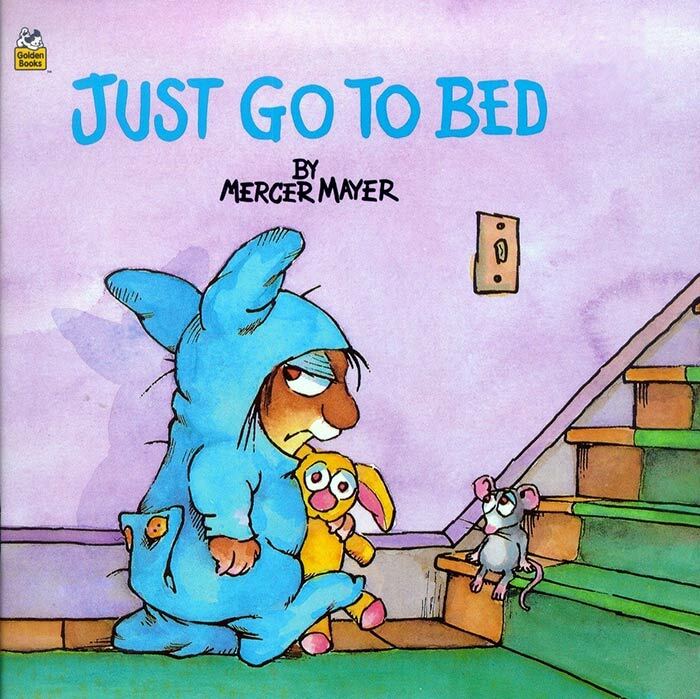 Having a regular bedtime routine keeps our kids’ temper and fussiness at bay. They thrive with consistency and appreciate that they know what to expect and when. Time for myself. The early bedtime gives me something I look forward to every day: time for myself. With all three kids in bed by 8pm, I’m given the time to do things I enjoy: writing (hi! ), reading, or spending time with my husband. Time to do chores. I’m able to do chores like preparing dinner for the next night or cleaning the house. The early bedtime (plus the full night’s sleep) has given me back some of the sanity I’d lost during the first newborn months. A full night of sleep for the kids. Rare is the morning when the kids will actually sleep in because they’d sleep too late the previous night. Sleeping two hours past their bedtime, for instance, doesn’t mean we’re able to enjoy an extra two hours of sleep the next day. Consistency. The repetition of waking up (and going to sleep) at the same time every day makes sure my kids don’t get cranky and remain alert throughout the day. Transition gradually. Adjust both bedtime and wake ups 15 minutes at a time, every few days. If your child typically sleeps at 10pm, make bedtime 9:45pm for the next few nights. If you need him awake by 7am every morning instead of 8:30am, start by rousing him by 8:15am. Continue this pattern until you reach your desired bedtime and wake up time. Create a conducive sleep environment. In certain places and times of the year, the sun might still be out, even at 7pm. 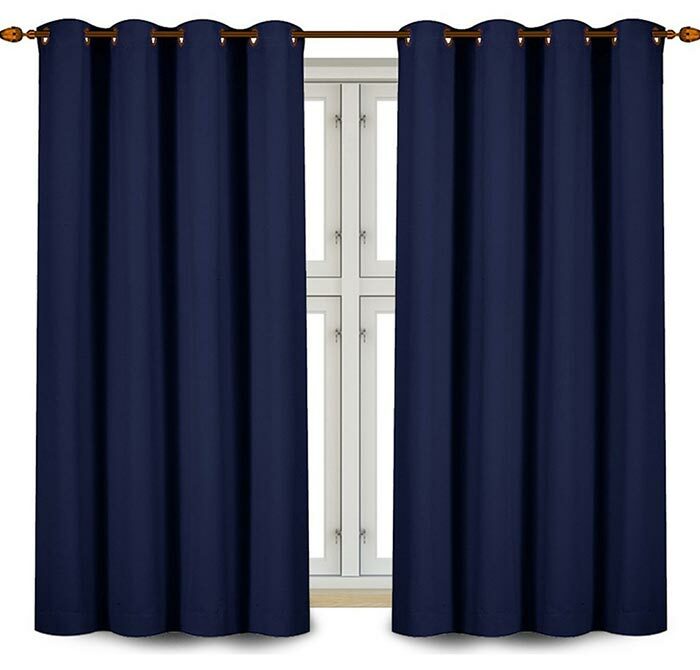 Get your environment ready for sleep, including darkening curtains, subdued chatter and bedtime books. And avoid stimulants like television, roughhousing, or bright lights. Sleeping too late has become common for many families because of hectic schedules and overtired parents. That’s why I’m a fan of early bedtimes for consistent sleep, more time for parents and a happier mood the next day. And if you decide to make changes to your child’s bedtime, do so gradually and by creating a conducive sleep environment. If you can’t or prefer not to have an earlier bedtime for the kids, focus on getting enough and consistent sleep for your child. Those two factors are most important, regardless of which camp you fall in. Your Child Won’t Nap? Read This. Tell me in the comments: Is your toddler going to bed too late? Do you have a set bedtime every night, or are you flexible about bedtime? Mine go to bed at 7. And I have probably an hour flexiiblity in that, generally for when we’ve got to travel home etc. I don’t think I would worry too much about the odd stay up though, as long as you prepare for them falling asleep (pram. car seat available etc or be able to go home if they get too tired.) After all, we all get the late night occasionally and it doesn’t make that much difference. I feel the same way. It drives me nuts when family doesn’t understand. I’m like that with naps, too. Same time every day, no matter what. Bedtime is at 8. It would be earlier but my husband gets home late and wants to spend time with her. We’ve started to become a little more flexible for bedtimes for special occassions though. I will let her stay up on the 4th. Didn’t last year. I will also base it on behavior, too. If I am letting her stay up and she’s cranky, she’s going to bed. Is yours still in a crib or have you transitioned? Eli goes to bed around 7:30, give or take 15 minutes depending on the day’s activities. Every once in a while we do let him stay up late if there is something going on. For example, he got to stay up until 9 on my birthday because we had a (surprise) party at my in-laws house, where he has a crib. We’ll let him stay up for fireworks on the 4th (my in-laws only live a block from the fireworks on our local beach) and then walk him back to the house to go to sleep. Generally, he does just fine the next day… he just might take a longer nap than normal! Our kids are down at 7:30, I’ve been working on stretching it from the 7pm that it HAS been to 8pm because Ally has soccer now that ends at 7pm. Drive home, add bath and bedtime routine, and it ends up at 8pm. A successful 8pm means that the kids can join us for first period of any hockey games we watch, and they love that. It’s hard when we go to dinner at someone else’s house. I normally announce days prior to dinner that we will be leaving around 6:30 to get the kids home and ready for bed in time. This encourages my family and family-in-law to have dinner closer to 5pm. So nice of them, but very necessary if we all want to enjoy eating without the crank! I was friends with a mom who’s toddler (almost three) was up until 11pm every night. 11pm!!!! I was so shocked, I’d never ever keep my kids up that late. What about adult time? I usually wish my baby did go to sleep by 7:30! We have tried bed time routines, but they don’t seem to stick. I probably sound like a lazy parent, but we have just gotten to the point where we put him to bed once he shows signs of being sleepy. He is 13 months now and usually falls asleep around 10:00 pm to wake up by 6:30 am. I hadn’t given much thought to the upside which is being able to stay out with him later, which is an interesting take on it to me. Mostly because Baby has never been a big sleeper, and I think sometimes it feels like it takes away from mommy daddy time. We’re the parents who are out and about with our 3 year old at 7:30 pm and get that look that says we should have him in bed already. Both the little guy and my husband are night owls so I’ve adjusted my sleep and work schedule accordingly. We used to try to get him to bed early but it took hours to get him to sleep even with a good bedtime routine. Now we’ve just gone with his natural tendencies and the bedtime routine works beautifully. Monkey goes to sleep about 9 pm (bedtime routine starts between 8 and 8:30 depending on our other activities) and hubby and I around 11. Just like other kids will occasionally get to bed late, ours will occasionally be up until 10 or so if we have company or things are hectic. We have a family bed and Monkey and I sleep til about 7:45 or 8 am so he still gets his 11 hours of sleep, just shifted later. He’ll sleep the first part of the night alone but starting around 4am his sleep is much lighter and he’ll be up at 6am if I’m not in bed with him. I honestly don’t mind having to sleep in! Hubby gets up a little earlier. Besides looking like bad parents letting our son stay up so late, the only real inconvenience is that our schedule is so different from everyone else’s. We can’t meet at the zoo right when it opens and I often don’t think of calling people until after 10pm. But overall, it works for us. #2 is due any day now and I’m hoping she’s a night owl as well…I’m not sure how we’ll manage if we end up with an early bird! For all the “late sleepers,” thanks for giving your input. I had never considered the story behind late sleepers, such as co-sleeping, family schedules or even sensory processing disorders as Karen pointed out. And now that some of you have mentioned it, there does seem to be an unfair stigma against parents who put their kids to bed late. I think my take-away from this discussion is that, just as I regularly put my kiddo to bed early because it works for us (he thrives with routine, we need to wake up early to be out of the house, etc. ), other parents are doing what works for them too, even if it means staying up a bit late. My sons bedtime has adjusted with his age, late as a baby, 9pm (to give me a lie in… I do NOTY do mornings well! ), to 7pm when he cut down his naps from 2 to 1 a day, and now 7:30… usually. The past 2 nights it’s been rather stretched, last night he fell asleep on the long walk home from a family meal… at 10! and tonight he was asleep by 8:45 because we went for a meal with my friend to celebrate her getting a job. If we go somewhere in the car and he has a nap I usually let him stay up til either 8/8:30 depending on nap length/timing but I normally tell him it’s nearly bedtime at 7 and whichever he’s watching (he likes to watch baby videos of himself, scooby doo or trains before bed) is the last one to accomodate the bath/book he will inevitably ask for! Livi’s bedtime is at 8 but it can take up to an hour for her to actually fall asleep. As a high need baby she is a restless and light sleeper so she wakes several times at night. We have tried earlier bedtimes but so far without success. Sleeping has always been difficult for Livi, even naps are a struggle most days. We would love for her to get more sleep but everything we have tried has failed so far. I agree with Karen, you never know why some children have a late bedtime. Often there is more to it than meets the eye. Our daughter heads to bed between 7pm and 8pm depending on her nap. Very occasionally we push it past 8 and always regret it the next day. We put a high priority on sleep and she sleeps best with an earlier bedtime. When she was really young we put her to bed at 6pm because she slept so much better and longer. People thought we were crazy but it worked wonders. You know what’s funny? I’m noticing that no matter what our kids’ bedtime is, we can’t seem to win in other people’s eyes. For instance, the people who have badgered me about my kid’s early (and not-too-flexible) bedtime are the same people who have pestered others I know who keep their kids up til midnight. You’re either a super-strict parent with the regular bedtime or the lax parent who’s up partying with their kids all night. The only source I’ve read in favor of earlier sleep times is the Sleep Easy Solution book that says kids are wired to sleep at the latest 8:30. Considering that I’ve yet to have my kid stay up past that, I’m not sure how terrible it really is if kids are up late. I tend to like earlier bedtimes because it seems to work for my kid, we need to be out early most days of the week, and I need time away from the kid for a few hours a day (work doesn’t count!). In these cases, I tend to trust the parents as well as their pediatricians because you guys know what’s best for your family. A book can give a general recommendation but they are also writing for thousands of readers, not individual kids who may not fit within that average they are talking to. My boys go to bed around 7:30 but if there’s something going on (like family events or if we’re on vacation, on a different time zone), I don’t have a problem letting them stay up for as late as they want. They go to bed early because that’s what works for them but I’m not super strict about it. Good advice, as always, about consistent parenting. My kids go to bed early because no matter what time they go to bed, they get up early. They are 6 and 9 and they are in bed at 7:30 to read and asleep by 8. My son is just starting to need less sleep and I’ll adjust his bedtime next school year as necessary. We let the kids stay up late for special occasions, like 4th of July or so we can go to a friend’s house and the parents can have fun too. But when they were really little, none of us could handle this. For them, staying up late does not mean they will sleep in. We’ve tried! Sadly I am learning this same truth! My 2yo has no concept of sleeping in no matter how late he went to bed the previous night. I’m glad that I’m not the only one who gets flack about their baby’s early bed time. My little girl is only 4 months old and I’m already hearing it. We’ve figured out that if I start putting her down at 6:30, she’ll go to bed at 7:00. This means that I miss out on a lot of “night time” activities. But when we do this she sleeps at least 11 hours straight. If she goes to bed any later than 7:30 she’s up at 4:30 the next morning. Missing out on fireworks? Missing out on Christmas celebration? I don’t see it that way at all. There will be a time for that. They will develop an appreciation for those things when they are ready, even if “ready” means able to stay awake long enough to actually experience it. I might concede that kids may miss out on things like lunar eclipses, and seeing Haley’s comet because it only happens once every so often, sometimes only once in our lifetimes. But even then, I don’t stress to much about what my just-turned-4 year old “misses” out on. If it’s really that important, we’ll find away for him to experience it… and when we do bend over backwards it’s not unusual for us to realize that it’s on our agenda for him to experience it and not so much on our son’s. But we don’t let that worry us for too long either. As parents, we provide the experiences, present it within the framwork of our values, and let him find his own inspiration and passion. Thanks so much for the post! As you guys have already said, we get flack whichever way we go! Living in the UK, Italian hubby and I (an Aussie) are seen by others as very European because our 14-month-old goes to bed at around 8.30/9pm. We wouldn’t do this if our LO wasn’t happy to stay up (others in our antenatal group go to bed around 6.30/7pm) but it works perfectly for us. Hubby has some 1-on-1 time after work while I make dinner and then we eat together. I love that we can eat together every evening! Our 2yr old’s bedtime is 7pm for a 7.30 lights out. We absolutely make exceptions because life isn’t rigid. If he has a solid routine most of the time then the odd change is fine. He’s always just rolled with it and I’m the one who stresses about it because I’m more attached to the routine than him!! Too many children go on too little sleep…sleep for children should be a priority for parents! Early to bed and early to rise…most children follow that pattern naturally…and the early to rise part comes whether they go to bed early or late! Having a bit of an evening without children up also is great for marriages! We protect our children’t bedtimes (7:00 for the 2 year old/8:00 for the 4 year old) fiercely. So far, it has not been worth it to throw off their schedules for an event when we have to deal with the consequences. Plus, the few attempts to put my 2 year old to bed later to try to get him to wake up later have been unsuccessful. His body clock communicates loud and clear with us. There will be plenty of time in the future to enjoy late night fireworks and ringing in the new year. I will confess, that I’m entirely willing to mess with their sleep for traveling. We have always done overnight flights to the East Coast for family visits. It hasn’t seemed to throw them off too much, so maybe I’m contradicting myself. This does make me think of the chaper in the “Nurture Shock” book about the hour of lost sleep and the negative consequences of less sleep. This probably applies more to school-age children that have to get up early regardless of what time they go to sleep. I liked that chapter in Nurture Shock a lot. I remember it talked about how high school students in particular needed a ton of sleep (something close to 10 hours) but with the way schools are, they have to wake up very early and don’t meet those needs. There’s a documentary called “Race to Nowhere,” and one of their campaigns is to call for later start times for school. I feel exactly like you do! My son is 2 and 1/2 and he goes to bed like clockwork every night. Bedtime routine starts with bath at 7:30, then at least 4 books, then we rock for a little bit. He’s usually drifting off around 8:45 and in his bed at 9. If I try to make it earlier or later he makes me nutty and no matter how tired will not wind down and close his eyes. Heaven help me if somebody messes up the routine! Good bedtime routine and we’re golden. however, when on vacation or when his Grammy visits i get the grandparent evil eye about how early the whole process starts or how long it is to get him in bed, etc, etc. But I pretty much ignore everybody because it works for us. He sleeps through the night give or take 1 wake-up. I also absolutely HAVE to keep his room cool. too hot and he won’t sleep at all which both sets of granparents think is crazy but since I can’t sleep when i’m hot it makes sense to me. I learned the hard way to guard those sleep times for both nap and bedtime mostly because as Mommy I’m the 1 that “pays” for it with grummpy kiddo and/or frustrated mommy. I used to constantly question if he was getting enough sleep, if I was doing the right thing, if I should do CIO (which went against every parenting instinct I’ve ever had) and now I’ve learned to listen to my heart and my kiddo and not worry what anybody else says or does. Molly, One thing I learned is that sometimes we can’t win with our “critics” 🙂 If parents put their kids down early, then family and friends wonder why they can’t stay longer at gatherings. If they’re up late, then why aren’t they in bed already. Considering my toddler’s needs, I just opted for routine and set bedtimes. We did do CIO when he was about 6 months, and again we had one camp that wondered what the heck we were doing and the other camp saying, Yeah, we did the same thing. I like what you said about listening to yourself and what works for you and your family. And yes, primarily because WE have to deal with cranky pants if he doesn’t get enough sleep hehe! We do the same bedtime routine & time every night too – unless its an unusual day where he naps more or we’ve traveled. He will go down at 7pm, but wake up many times during the night… that’s my biggest problem – getting away from the nightly feedings. Any suggestions? Hi Meghan, You’re the second person to bring up night wakings in just the past few days. I started typing a response but then it got so long, so maybe I can turn it into a little blog post and ask the rest of the readers for their input too. I’ll keep you posted! On weeknights, I’m pretty strict on bedtime. We aim to get beds in bed by 8:30pm. It’s easier to the baby to settle-down and we KNOW our 3.5-yr old is tired by then. Any later than that, both are restless. We make exceptions definitely for holidays or traveling but unfortunately, going to bed later doesn’t mean they wake up later, for us anyways. Lisa, this is why I much prefer an earlier bedtime, as our kids hardly sleep in if they sleep late. I suppose if the schedule were more regular then they would. I also like an earlier bedtime because I have those few hours between their bedtime and mine! Our kids, 3, 9, and 10 go to bed when they are tired, usually around 2am. And get up whenever they are ready to wake up. Usually around noon. No matter what, we all gravitate to this schedule. I can’t imagine having to get up at 6am or whenever most of you get up. We are starting homeschooling this year in part because we are tired of dealing with their schedule, these rediculous compulsory attendance laws, and school nazi paper pushers. i have difficulty putting my kids to sleep early and always end up arguing with my wife. my 2 year old son sleeps at 12am-1am. i am the breadwinner and my wife is a full time housewife. she told me that there’s nothing can be done and the sleeping time of kids will eventually be adjusted automatically as they grow up. i have been looking for such proof to support her statement but none. after reading so many websites, i understand that parents are the main key to adjust their sleep. Hi Alan, I would further discuss with her the reason for a later bedtime. If it’s a matter of believing that’s when he naturally sleeps, I believe you can actually adjust that much earlier. I would start in 15-minute increments, so if he currently sleeps at 12am, put him to bed the next night at 11:45pm and stick with that for a few days until it seems he has adjusted. Then try again for 11:30pm, and so forth until you can get him to sleep earlier. Every family is different, but what’s most important is that children get enough sleep throughout the day. I’d make sure he’s still getting that 10-12 hours of solid sleep overnight, in addition to daytime naps he takes. If he’s waking up at 8am the next morning, then you should adjust his bedtime much earlier. You’re doing what works for you, mama! And that’s what’s most important. What’s so interesting about parenting and raising kids is that there are so many ways to do it. And isn’t it funny how we’ll think, “I don’t know how they do it, I could never do that!” for any side of the equation? All of a sudden my 2 year old who would go to bed at 8pm isn’t falling asleep until 11pm some days. I’m doing everything to keep her on the same schedule. We are up at 630am and she’s miserable but nothing I’m doing is working. I even tried cutting back and eliminating naps…didnt help. I’m so tired. Oh no, that sounds terrible Moneka! Try to find out what’s causing the difficulty in falling asleep. There could be so many reasons, from a fear of the dark to separation anxiety to changes in the household that could be keeping her up. Depending on what the potential cause could be, you could try addressing the root issue, such as getting a nightlight, easing her anxiety, keeping her routine subdued before bed, or talking about her concerns. It’s definitely hard, and I’ve got my fingers crossed that she’ll overcome this stage sooner than later!